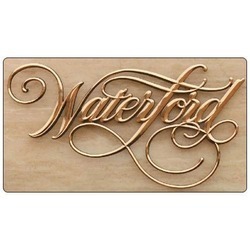 With our expertise in this domain, we are able to offer a superior quality range of Metal Letters. Our team members design these product range keeping in mind the specifications and requirements of our customers. Moreover, the product offered by us are available in the demanded specification, which help in meeting the variegated demands of our customers in an efficient manner. Customers can avail the offered product in competitive rates. 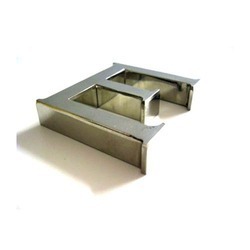 Our name is among the leading industry, dealing in the manufacturing and supplying a wide spectrum of Steel Metal Letter. The offered product is composed of superior quality material, sourced from relevant and certified vendors of the market. Apart from this, we present this product in the most competitive rates and are available in varied specification. 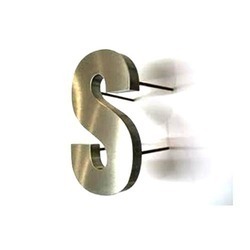 Under the guidance of our expert mentors, we are engaged in the manufacturing and supplying a assorted range of SS Metal Letters. This product are extensively used in various commercial Sectors as signboard. Apart from this, the offered product is made of quality grade material, with the aid of latest machines and equipment. Backed with our adroit team of professionals, we are able to provide our clients an assorted gamut of Metal Letters Sign Boards. The offered signboards are made with sophisticated raw material that are procured from authentic vendors of the market. Apart from this, the product is stringently tested at well defined parameters, before its final delivery. 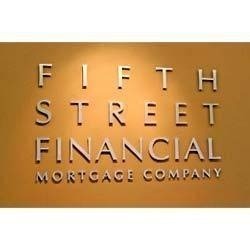 Offered by us is a wide gamut of Metal Sign Letters. 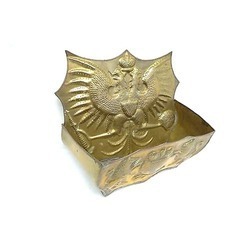 The offered product is a quality approved product range which are stringently tested at vivid parameters and are in accordance to set industrial specified norms. Furthermore the offered product is manufactured with superior class Stainless-steel and is extensively used in jewelers sign, factory sign, company office signs, restaurant signs and building signs. We are reputed firm, dealing in the business of manufacturing and supplying a spectacular range of Metal Letters With P.U Coat. The offered machines are made under the continuous vigil of deft experts, who work in sync to the laid international specification. Apart from this, the offered letters are custom-made as per the requirements of the clients and is widely used in various commercial sectors. 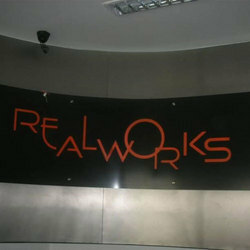 We are counted among the prominent industry, offering our clients a assorted range Metal Sign Boards. These signboards are used extensively in vivid commercial sectors and is widely demanded for its various attributes. Furthermore, the offered product is made under the strict vigilance of deft experts, who supervise the entire production process. 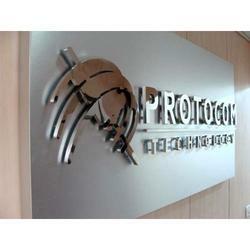 Our company is instrumental in offering our clients a wide spectrum of Designed Metal Letters. The offered product is manufactured with the aid of new generation technology and machinery. Moreover, the product is composed of superior grade raw material that is in sync with the industry laid guideline. We offer the product to our esteemed clients in affordable rates. 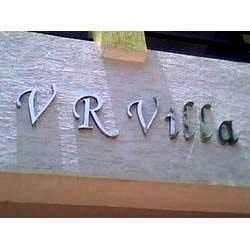 Looking for Metal Letters ?